The region’s largest bus company, Go North East, has been shortlisted in two national awards, recognising its commitment to green technology and industry-leading training and recruitment. 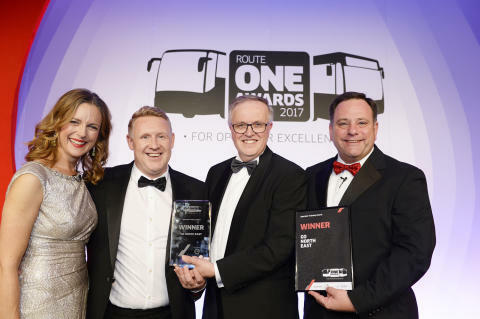 The award-winning bus operator will be going for gold at this year’s routeone Awards, in the Large Bus Operator of the Year and Operator Training categories. Go North East will learn its fate and go head-to-head with coach and bus industry peers from across the UK, at the annual awards ceremony. This year’s event will take place on Wednesday 31 October, at the Hilton Birmingham Metropole. 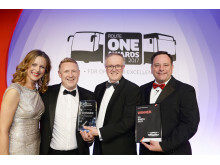 It is hoping to scoop the gong for Large Bus Operator of the Year, in recognition of its commitment to developing the latest green and sustainable fleet technology and working in partnership with key charities and communities. The company has also been shortlisted for the Operator Training Award with its innovative Bus Driver Routeway training and recruitment programme, which offers unemployed people in the region the chance to secure one of 250 annual bus driver roles and receive invaluable long-term employment training.